Flat Connections Live! is coming to Canada in 2015! This event will provide an opportunity for Higher Education and K-12 teachers, leaders and administrators to experience connected and collaborative learning while using digital technologies to connect across the world. 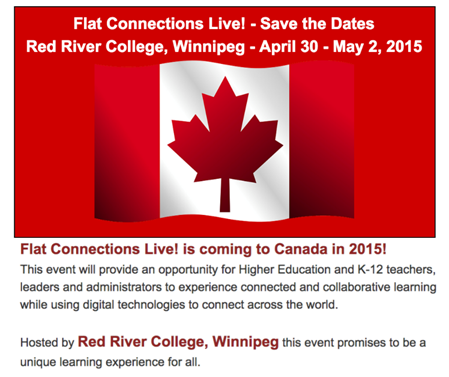 Hosted by Red River College, Winnipeg this event promises to be a unique learning experience for all.